Separation and post-separation can be a stressful time. 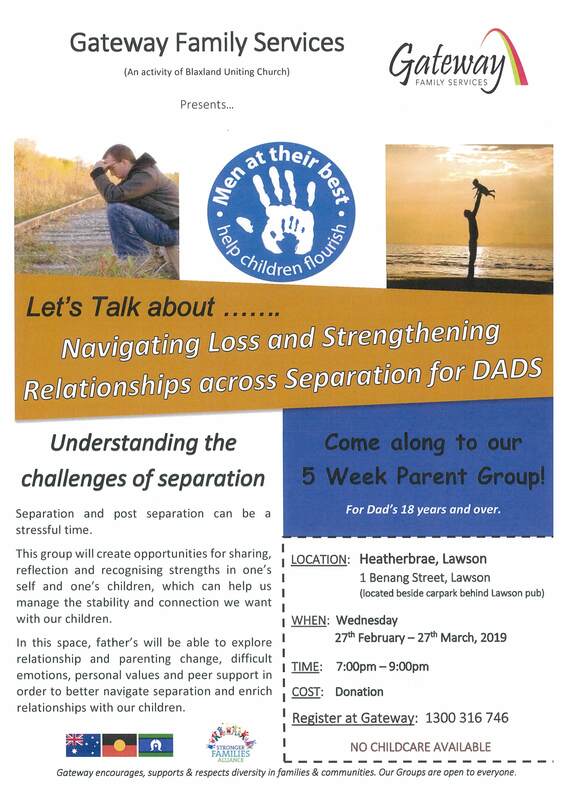 This group will create opportunities for sharing, reflection and recognising strengths in one’s self and one’s children, which can help us manage the stability and connection we want with our children. In this space, father’s will be able to explore relationship and parenting change, difficult emotions, personal values and peer support in order to better navigate separation and enrich relationships with our children.